Happy New Year from all of use at the Unidata Program Center! In case you missed it — here's a recap of news from the Unidata Program Center for the month of December, 2017. The NetCDF-Java/Common Data Model (CDM) library and THREDDS Data Server (TDS) version 4.6.11 releases were released on December 4th, 2017. Unidata staff members Ward Fisher and Jeff Weber have been working with scientists at the Geological Survey of the Netherlands to figure out how to use netCDF datasets in the Survey's virtual reality system. 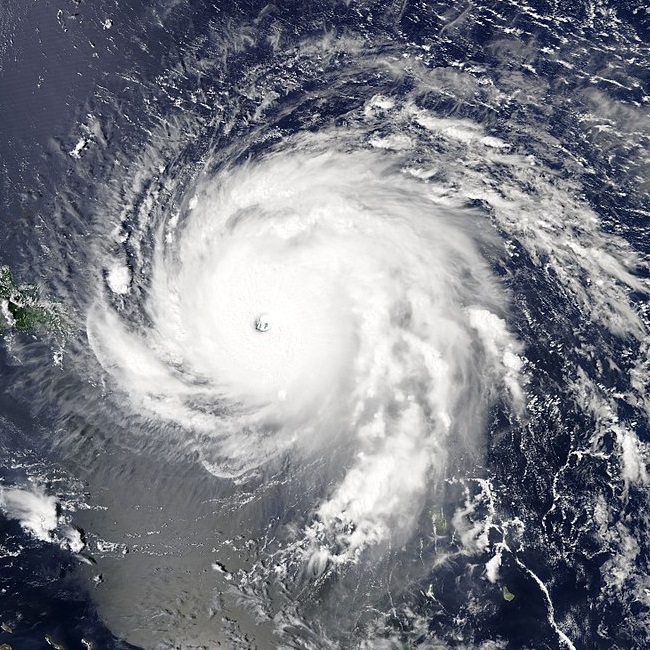 Together with software developers from the research organization TNO in the Netherlands, this group has put together a visualization of hurricane Irma that can be can be investigated and manipulated (i.e. thin sliced, filtered, scaled, etc.) in real-time by multiple users with HTC Vive devices. The University of Wisconsin-Madison is accepting applications for the Director position at the Space Science and Engineering Center (SSEC). Unidata developers Ryan May and John Leeman, together with Kevin Goebbert from Valparaiso University, will be teaching a one-day short course titled “Python for Dynamical Meteorology Using MetPy” at the 2018 AMS Annual Meeting in Austin, Texas. Unidata community members Ivo Jimenez and Dr. Carlos Maltzahn from the University of California, Santa Cruz, along with Kevin Tyle from the University at Albany, will be presenting an AMS Short Course titled Reproducible Atmospheric Science Workflows Using Open Source Tools: An Introduction to the Popper Experimentation Protocol . The Unidata Program Center is pleased to announce the opening of the 2018 Unidata Community Equipment Awards solicitation. Created under the sponsorship of the National Science Foundation, Unidata equipment awards are intended to encourage new members from diverse disciplinary backgrounds in the geosciences to join the Unidata community, and to encourage existing members to continue their active participation, enhancing the community process. For 2018, a total of $100,000 is available for awards; proposals for amounts up to $20,000 will be considered. Members of the Unidata Program Center staff will be attending the 98th annual American Meteorology Society meeting, 7-11 January 2018 at the Austin Convention Center in Austin, Texas. The schedule here lists specific sessions at which UPC staff will be presenting or in attendance. Version 4.7.1 of the netCDF Operators (NCO) has been released. NCO is an Open Source package that consists of a dozen standalone, command-line programs that take netCDF files as input, then operate (e.g., derive new data, average, print, hyperslab, manipulate metadata) and output the results to screen or files in text, binary, or netCDF formats. 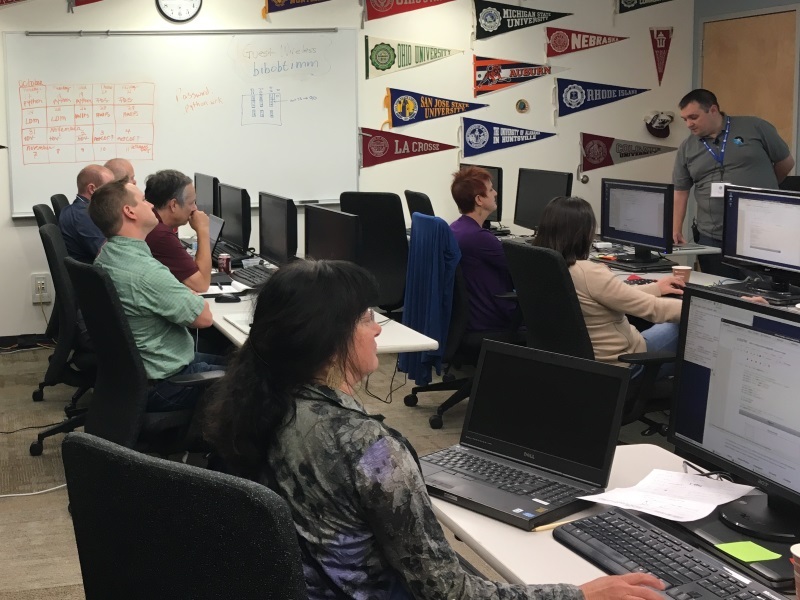 Traditionally, Unidata Program Center staff have provided training workshops each year. In recent years, attendance at workshops in Boulder has declined, raising the question of whether this is the best way to serve our community. 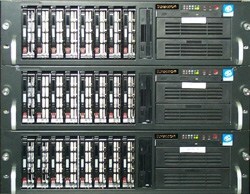 Unidata Program Center developers write regularly on technical topics on the Unidata Developer's Blog. MetPy Mondays posts continue to appear each week — check out this month's posts on common calculations, contributing to MetPy, and animation. Unidata's Users Committee met 16-17 October 2017, in Boulder, Colorado. This was a joint meeting with the Strategic Advisory Committee. The meeting summary will be available shortly. The meeting summary is available here. The next meeting is scheduled for 4-5 April 2018 in Boulder, CO.
Unidata's Strategic Advisory Committee met 17-18 October 2017 in Boulder, Colorado. This was a joint meeting with the Users Committee. The meeting summary will be available shortly. The meeting summary is available here. The next meeting will be held 29-30 March 2018 in Washington, DC.